Largest floor plan in this quiet lovely neighborhood. 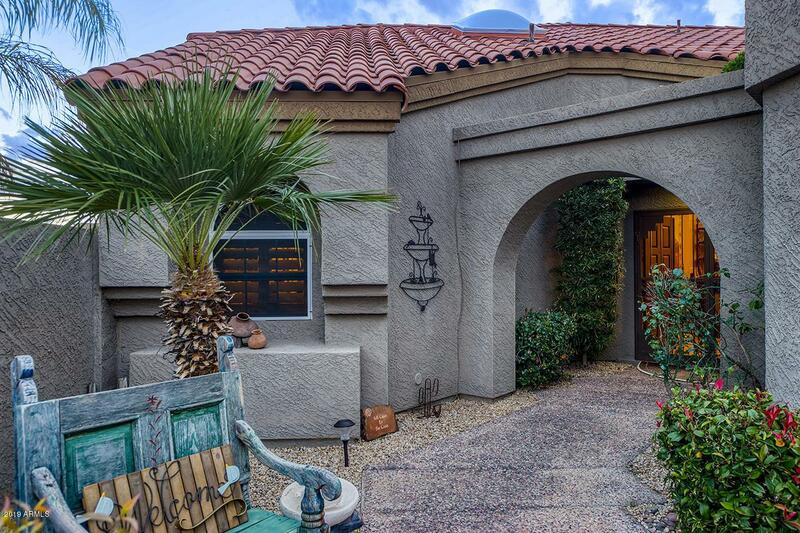 Home is COMPLETELY remodeled and features Arizona (3 Seasons) Room. Additional bonus/laundry room with built in cabinetry to accommodate office area. Stone and granite wet bar with Hammered Copper Sink. 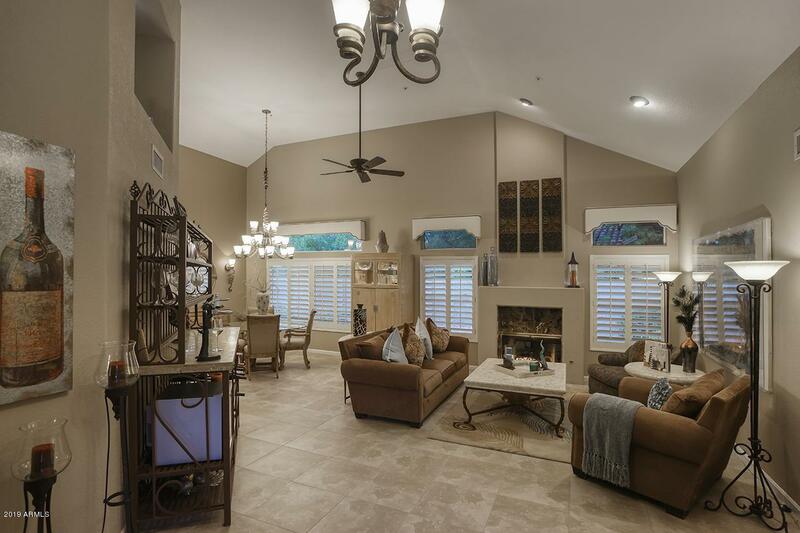 Vaulted ceilings w/ premier lighting fixtures & exceptional designer Chandelier (s) & ceiling fans throughout. Heated pool redone w/ Pebble Quartz and deco tiles w/ new Trane HVAC in 2018. 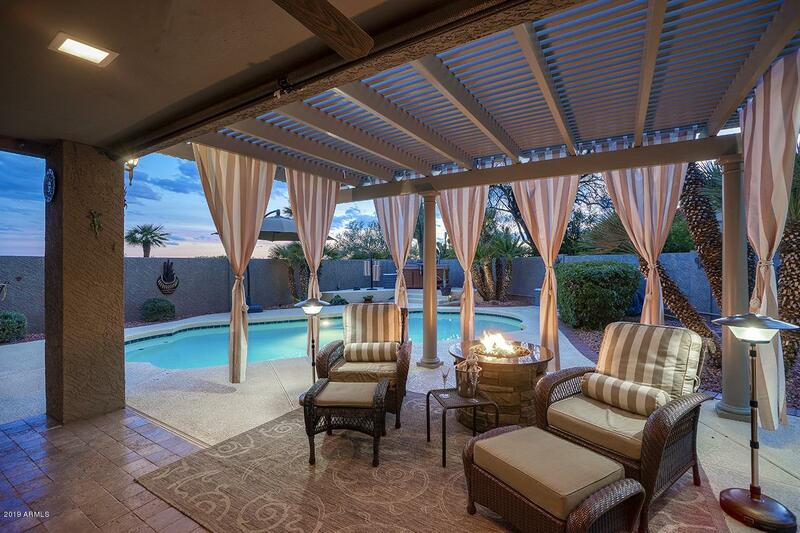 Remote awnings and resort like Pergola w/ cabana coverings in a beautiful private resort like back yard. 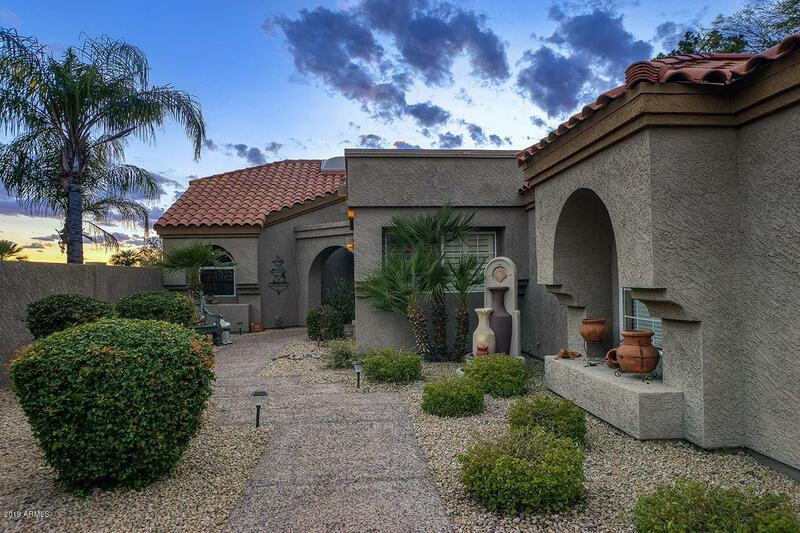 Fantastic sunset views of Camelback and Superstition Mtns. from elevated Spa deck that features a therapy hot tub. Detailed list of exterior and interior renovations available by request. WOW!